Although there's a lot of camo at the back, we can easily see the new graphics of the LED taillights. It was mid-March when Volkswagen disclosed plans to give the Passat a refresh by announcing plans to unveil the facelifted midsize sedan later in 2018. 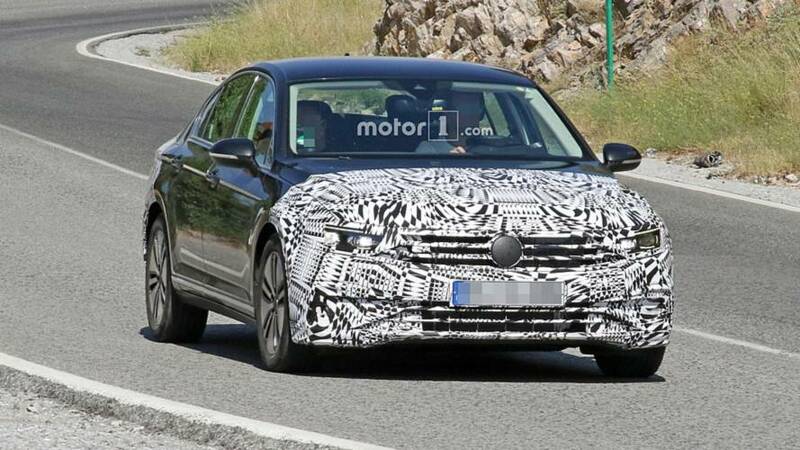 Since VW’s announcement, we’ve seen a fair share of spy shots with camouflaged prototypes, and today we get the chance to have a look at the plug-in hybrid version. The design of the alloy wheels and the “hidden” charger port next to the VW badge on the front grille disclose the test vehicle’s true identity, the Passat GTE. As it’ll be the case with the conventionally powered version, the electrified sedan will adopt a reworked front fascia derived from the stylish Arteon with a reworked grille that gives the illusion it’s extending into the headlights. 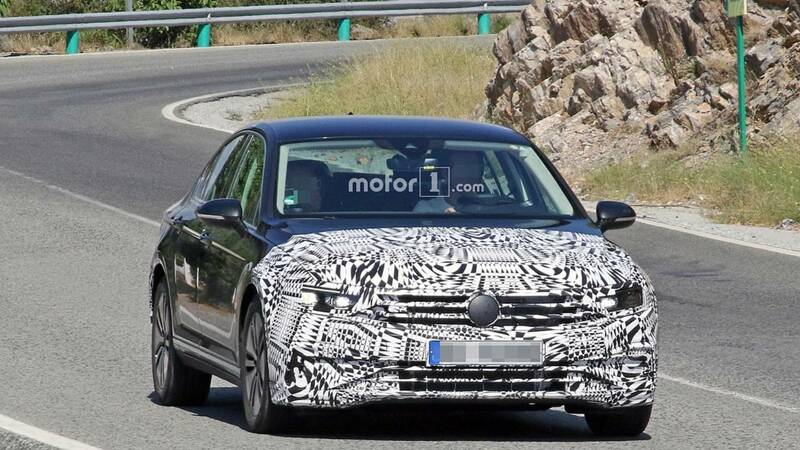 With this being a GTE model, we’re expecting to see C-shaped LED daytime running lights mounted in the front bumper, but either VW has decided to ditch them, or we simply can’t seem them because of the camo. There’s more disguise at the back where the prototype has a slightly modified bumper without cutouts for the exhaust finishers like on the outgoing model. Also noticeable are the updated LED taillights, which will soldier on with the same shape, but are going to receive swanky new graphics. 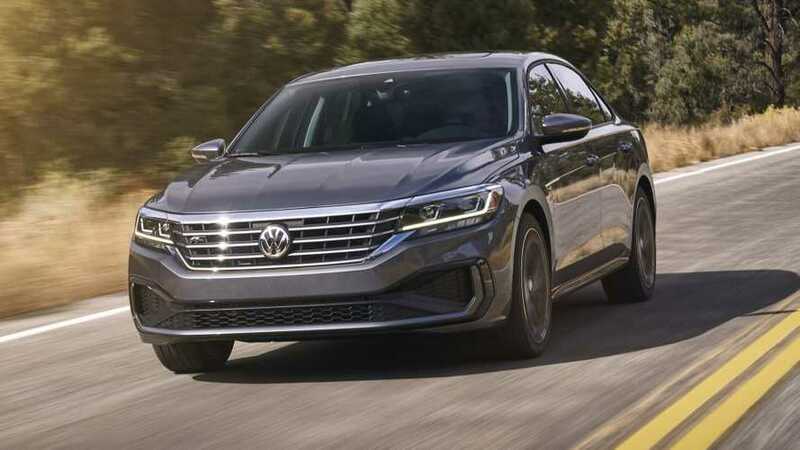 As you may recall, the Passat GTE utilizes a turbocharged 1.4-liter engine and an electric motor with a combined output of 215 horsepower and 295 pound-feet (400 Newton-meters) of torque. It has enough electric juice for 31 miles (50 kilometers), but bare in mind that number is based on the outgoing NEDC. We gander the facelift will be more than just a mild styling update as VW could also work on the Passat GTE’s hardware to boost efficiency and maybe bump output in the process. We will know what’s what in the months to come as the Passat facelift reveal is likely inching closer. With VW skipping the Paris Motor Show, it means we won’t be seeing the car in October in the City of Light. The European-spec model could debut at a standalone event or the automaker might simply show the car online. As far as the next-gen U.S.-spec Passat is concerned, it will go on sale in 2019.